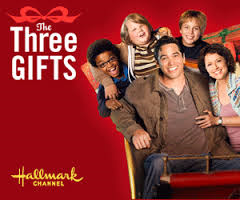 Top Hallmark Films | What to Watch. When a small-town boy’s video Promposal goes viral, it scores him a Prom date with his celebrity crush. Complications arise when the celebrity falls for the boy’s teacher. To the folks in Conway, South Carolina, Duncan Mayor is a very cranky guy. To “my sweet girl” – his wife, Suzy – he’s a doting pussycat. But Suzy is just home from the hospital and cared for 24/7 by nurse Natalie, whom Duncan tries his best to ignore. Duncan decides the best medicine Suzy could possibly have – and a Christmas present she’ll never forget — is a ride on a real Ferris wheel, set up in their own back yard. Why a Ferris wheel? Because it was while riding one many moons ago that Duncan asked Suzy to marry him. Where to find a 45-foot-high used Ferris wheel? Duncan strikes gold in an abandoned amusement park, presided over by a lonely ex-carnival worker — Henry. Assembling the mechanical monstrosity is not exactly a one-man job. Duncan gets a crucial assist from Tommy, a former student of Suzy’s, who is deeply in her debt. He’s become a successful landscape designer after a troubled youth; it was Suzy who set him straight. Meanwhile, the neighbors are not amused; especially prim and proper Gayle Matthews. She’s entered her garden in an upscale magazine’s “Christmas Showcase” contest. The interest of the contest’s judges witnessing the atrocity next door is more than Gayle can bear. Fortunately, her brother is the local sheriff – and there are zoning laws to prevent this kind of thing, aren’t there? Sarah Russell, a 23-year-old aspiring medical school student, visits her family to share some important news but instead finds herself confronting a difficult period from her past. Follows the professional and personal life of Municipal Court Judge Olivia Lockhart and the surrounding townsfolk of Cedar Cove. When an English aristocrat and her Granddaughter, Tilly, visit relatives in Ireland for the Christmas holidays, they find that the family has become impoverished and is looking to try and marry their son, Cameron, to Tilly to save their legacy. However, what the Grandmother has failed to relay is that Tilly is engaged already. So, it’s up to Irish luck to help Tilly fall in love with Cameron. But what happens when Tilly’s fiancé arrives to surprise her for Christmas? Almost as soon as Jake and Cassie decide to get married on Christmas Eve, complications arise. Ex-con Leon Deeks arrives in town, and Jake is asked by the mayor to make him his top priority. At the same time, Jake’s having trouble securing the wedding license since he can’t find Cassie’s documents proving her existence. There’s also the difficulty in finding a wedding cake at the last minute. Last but not least, Jake’s kids are upset: Brandon wants to spend time with his new girlfriend, and is feuding with his sister Lori. Meanwhile, Lori manages to lose Cassie’s wedding ring. Jack Green inherited a southern Californian horse ranch and an all-natural toy factory in the barn. With his wife Cherie, he accepts taking in the three ‘holy terrors’ from his bossy aunt Rita’s orphanage during renovations, until the holidays. Resourceful Mike and his buddies, Henry and Ray, prove handfuls, but Jack proves father-potential. The trio even goes on best behavior after overhearing the couple considers adopting, but that also means rivaling, resulting in trouble for everyone. The overwhelming tasks that go along with Christmas have taken the joy out of the holidays for busy single mom Jennifer Cullen. Then her Uncle Ralph arrives at her home with the young, handsome Morgan Derby. Morgan’s love of Christmas, and life, is contagious and as Jennifer glumly navigates through the holidays, she soon realizes that what she needs most is right under her nose. This entry was posted in 2016, films, hallmark movies, Lists, movies, Top Films..., Tv shows and tagged A Boyfriend for Christmas, A Family Thanksgiving, An old fashioned christmas, best hallmark films, best hallmark movies, Beverly Lewis' the Shunning, Cedar Cove, Christmas in Conway, Date with Love, Hallmark films, hallmark movies, Holiday Engagement, IMDB, June in January, Lists, Love Takes Wing, Love's Unfolding Dream, November Christmas, Remember Sunday, Surprised by love, The Christmas Card, The Good Witch's Gift, The Magic of Ordinary Days, The Most Wonderful Time of the Year, The Parent Trap, The Russell Girl, The Shunning, The Three Gifts, Top Hallmark Films. Bookmark the permalink.